The UOC's researchers, professors or course instructors may deposit in the O2 the articles, book chapters or parts, lectures, etc., that they may have produced within the framework of their research activity at the University. The Guide to depositing Research Materials in O2, the UOC's institutional repository, gives the steps that must be followed to deposit this material. Researchers must take into account the copyright and editorial policies that publishers apply to publications. On this page we explain the most relevant aspects of this issue. As authors, when a contract is signed with a publishing company, often the work's exploitation rights (reproduction and distribution) are often assigned exclusively to the publisher. 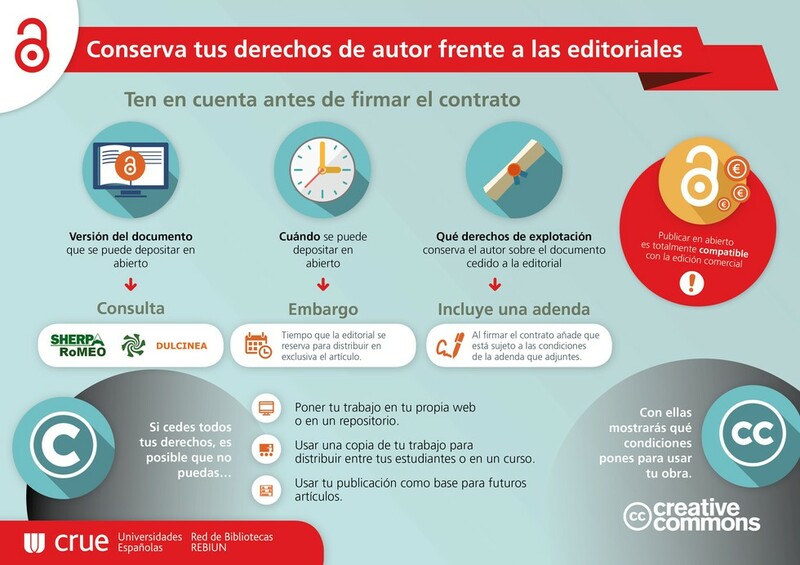 It is what is known as copyright transfer and implies that authors cannot disseminate the work on any other channel without the publisher's permission. If you want to deposit a work published previously in a journal before including it in the O2, you must know under what terms you have assigned your rights to the publisher. Although many publishing companies allow dissemination of the preliminary version or preprint (rough draft of the text before review), the post-print, or the version published in institutional repositories, others do not. 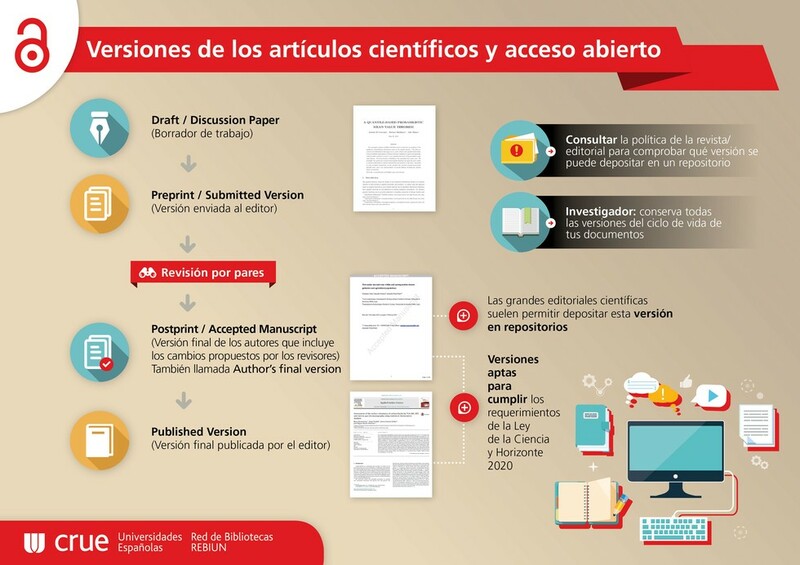 Copyrights and conditions of self-archiving of Spanish scientific journals.